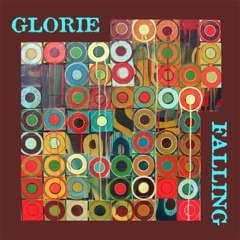 Memphis-based instrumental post-rock band Glorie released their new EP, Falling this week on CD and as a free download on their Bandcamp page. The band is led by keyboardist and vibraphonist Jason Paxton, formerly of The Satyrs, who formed the group after an eight-year hiatus from playing music and cellist and guitarist Jonathan Kirkscey. Their progressive sound involves moving and beautiful string sections and soothing vibraphone-led textures with other striking experimental touches to create a visceral brand of music that you can actually feel. The cinematic “Sunshine Then Nightmares” opens the EP with an almost danceable rhythm and some soaring, ozone-layer busting strings. Standout track “Run Away” follows and is highlighted by the contrasting interplay between rippling vibes, chugging strings and ambient guitar distortion. And the title track, “Falling” stands out as well with a pounding piano riff, a propulsive beat and some sweeping strings. Saint Alvia - "Static Psalms"